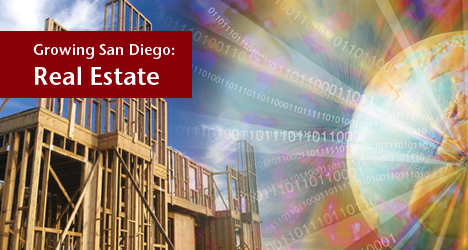 Last month, San Diego-based real estate Internet marketing company, Z57 Inc., announced the launch of two real estate Internet marketing solutions, Agent Excellence and Broker Excellence. Downtown San Diego has accomplished a great deal in the past year. When approved by the voters in 1998, Prop C -- "more than a ballpark" -- spawned an unprecedented wave of economic development. This wave was instrumental in creating our urban renaissance that has since become a national model for urban revitalization. True leaders are not afraid of change; they welcome it. They are oriented toward the future instead of focusing on the past, and are open to new ideas about better ways of doing things. Media choices are increasingly fragmented, paid-media costs are skyrocketing, advocacy dollars are limited and volunteers are stretched thinner than a zero lot line. At a time when even large developers are pinched for resources, how can the smaller operations hope to garner support for entitlement issues, lobby initiatives and similar public affairs projects? Homebuyers do online research more than sellers but the gap is narrowing, according to a recent California Association of Realtors' report. Local real estate professionals see wider buyer usage. Nationally, Realtors will spend $1.3 billion -- 11.2 percent -- of their advertising budget this year on Internet media, according to a media research firm.